The activity content covers how malpractice relates to early obstetric and obstetric ultrasound, gynecologic ultrasound with ultrasound diagnosis later in pregnancy. Through case examples the activity provides an overview of common errors that lead to litigation, common types of litigation, and mechanisms for reducing malpractice. 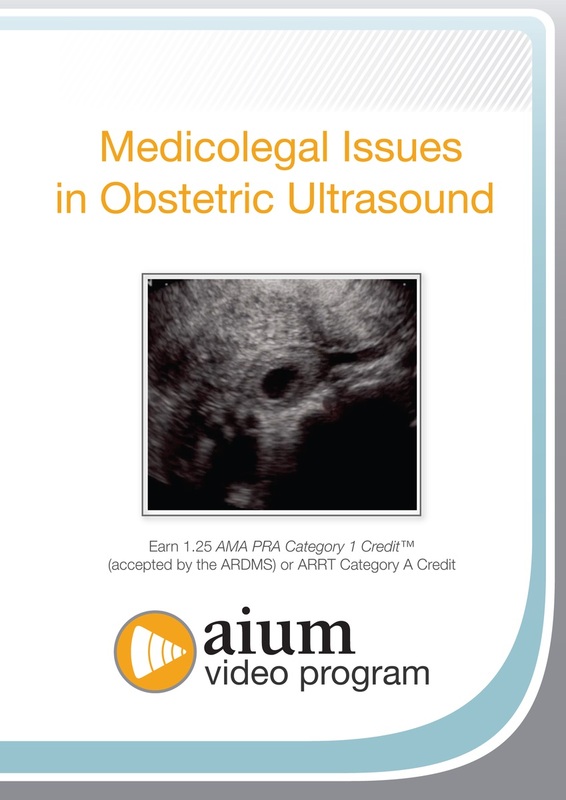 Objective: The objectives of this video are to evaluate challenging obstetric cases in each trimester and the associated medicolegal aspects; and discuss appropriate documentation and follow-up of challenging fetal cases. The AIUM designates this enduring material for a maximum of 1.25 AMA PRA Category 1 Credits™. Physicians should claim only the credit commensurate with the extent of their participation in the activity. CME credits for this video program are available through January 1, 2021.